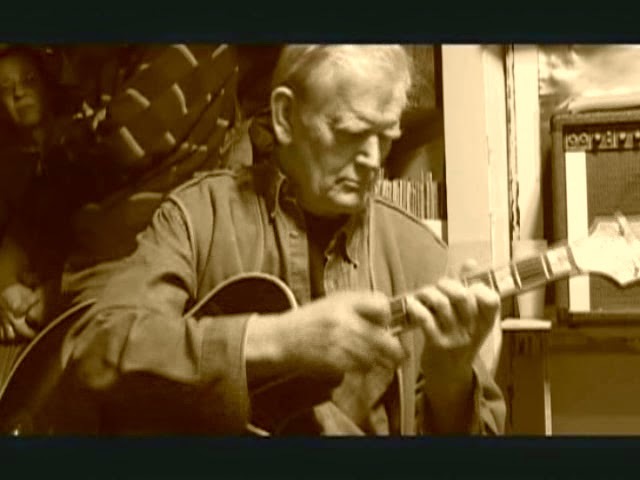 On Christmas Day 2005, Derek Bailey died, aged 75, from complications arising from motor neurone disease. This is a humble tribute paid by colleagues, followers, listeners, lovers, dilettantes, friends... for anyone -other people- who feels a debt of gratitude for his brave, incredible, reactive, lasting, magnetic and growing sound, performing and theoretical legacy. It's an open homage, if anyone want to join us. 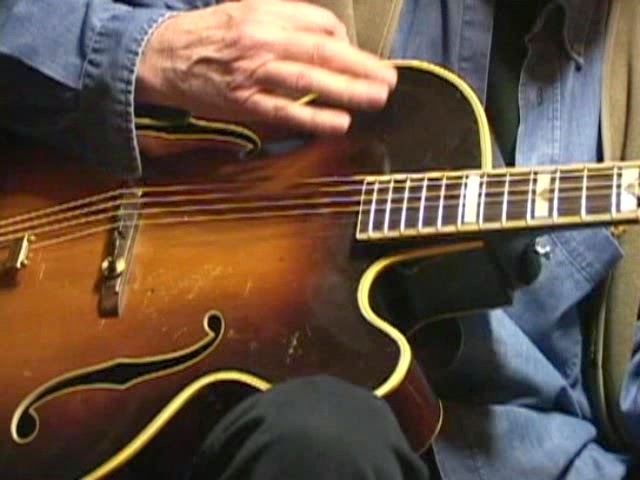 A master musician who broke all the rules and created a new language for guitar in free-jazz. 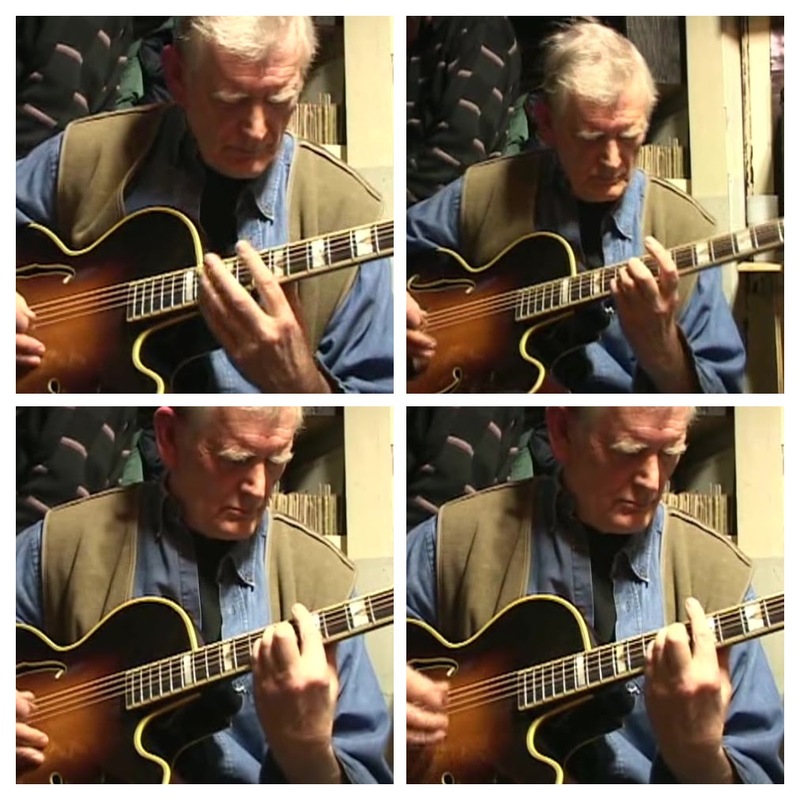 Here are a few Derek Bailey stories. There are of course many! When Derek was living in Sheffield he had a gig in Glasgow every week so, trying to save on the train fares he bought a scooter. He only rode it once as he fell off and couldn’t get up as the guitar was tied to him and the scooter. A ‘little old lady’ asked if he was alright and he spent quite a time trying to convince her he was fine (being unable to stand) and could she open the guitar case and see if the guitar was OK. After that he traveled by train but took the scooter with him anyway as it didn’t cost extra to bring it. When Derek played in the Russ Conway trio Russ would get very drunk during the interval. After the interval he played a long solo introduction before the group joined him and he would invariably get lost. After a couple of minutes or so of the left hand not knowing where the right hand was he would nod frantically and the group would have to guess where to come in. One time the singer Gracie Fields was on the bill when Derek was playing in the pit orchestra. Gracie had her own pianist so the band wasn’t given any charts. However it was suddenly realised that she would need some introductory music to come on to. Forty musicians attempted to play her big hit ‘Sally’ by ear and in unison.Derek always used to say that if someone presented you with some difficult music to read then say, ‘Are you sure this was written for the guitar and not some other instrument?’ This fell down with The Batchelors because one of them picked up a guitar and played Derek’s score perfectly. It was something he played anyway and they had asked a pianist to write it down for them. One of Derek’s early professional engagements was in a band led by a drummer whose main job was working in the steel works. He was a big man who sometimes couldn’t keep time. Derek started nodding in time to him during the first set but when the drummer’s mates had a word with him in the toilets during the interval he decided that wasn’t a good thing to do. One of Derek’s delights in playing pantomime was the atonal playing necessary as wizards came up through trap doors or strange beasts appeared. He was very proud of the fact that he was the only person from the Little Theatre Club scene who had a job that year! I had the chance to meet Derek at his house in London when I was 24. I read his book "Improvisation", heard very little of his music and somehow found his phone number from Rene Lussier I think. At that point he was just some musician I had "heard of"... but I was a bit cocky I guess and called him to see if I could pay a visit to his house. I brought my guitar, which he looked at, but we ended up just chatting over tea. Later in 2002 we played together at his house. After a 40 minute session there was a brief silence and he just said "...interesting". We talked for a while about music after I asked him advices and career counseling. He signed the first copy of his CDR "Chats" for me. I must have listen to it a hundred times. I spent the next few years discovering the man and his music and became a true fan. We kept writing to each others for a while and we eventually released the session on two records. This was the turning point of my life as a musician. Some have perfect pitch... I had the chance to release my first album with Bailey. It was both a blessing and a curse. I saw Derek again in New York and London at "Hat On Wall" while he was playing solo set with Konk Pack. I wish I had the chance to know him more, yet the little time I spent with him changed my life. I think about him everyday. Making our first duo album, ICP004. By the way, Evan was the one who introduced you to us - you both coming in a Morris Minor with Gavin Bryars to Wuppertal - we all played in a large group (Machine Gun) with Brötzmann, and Paul Rutherford was there too. The work with ICP, especially Misha and also Wim T Schippers - man, we had such a great time! I r emember meeting your mum and Simon. On the duo tours in England you always booked in very cheap B&Bs and a couple of times including Leeds you didn't rent a drum kit for me because you told me, 'There are plenty of chairs and tables to play on!' The recording by Evan, Topography Of The Lungs. The many variations from Company. Unbelievable! You did soooo much for the music. The book about improvised music, the TV series, it seems endless. 'Bullocks!' you would answer. Later, when Karen came into your life it was another peak. Staying on Downs Road. I think that the last idea was 'Air Mail Special' - another great item. Thank you so much for everything. I will miss you very much. Lots of luv, Han. I remember well Derek when asked to define himself, or rather his activity, practice... and a resume that says a lot to me since, as : A Guitarist. Years later (I started with swing people and some weere part of the Gipsy scene in France, some strictly Django but the real gipsies often taking it further), I was meeting with my close friend Max who now programs the Samois Django Festival (the small village where Django retired at the end of his life, painting and enjoying a simple life – http://fr.wikipedia.org/wiki/Samois-sur-Seine), and I played to some Django afficionados some Derek Solos. They were very interested, they listened really carefully and after about ten minutes of it, they came to this conclusion : “This is really a serious guitarist “because”, He plays incredibly equal on the 6th strings”. Derek was right. Happy New Year. In my office there is a shrine to Derek Bailey. Derek est unique ! Il a développé son propre langage sans se soucier des chapelles. Dans mon parcours personnel, les mélodistes ont tenu une place importante. Le chant, le phrasé d'un musicien est l'élément qui, encore aujourd'hui, me touche d'emblée. L'absence (apparente) de canevas, de références dans certains univers musicaux m'ont parfois empêché de découvrir plus tôt certains artistes qu'aujourd'hui j'apprécie énormément ! 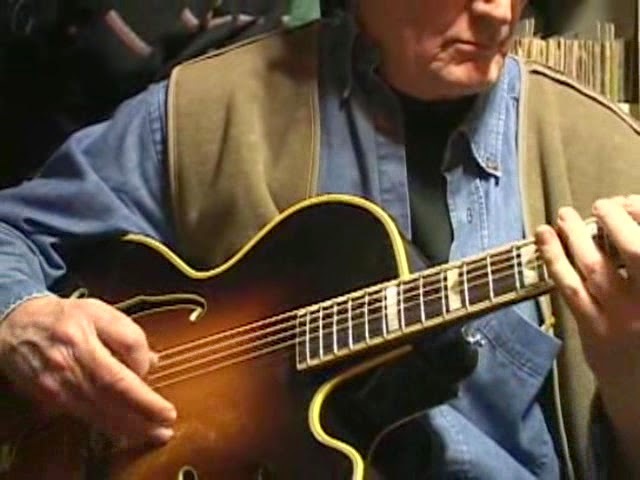 Derek Bailey fait parti de ces musiciens qui ont bousculé certaines habitudes et ont permis à des musiciens curieux d'aller voir ailleurs. Guitaristiquement, ce qui m'a le plus marqué et impressionné chez lui, est l'aspect percussif de ses improvisations et son travail sur les intervalles. Impressionnant de maîtrise! Derek gave me the clue to sounds I sought but never had heard, tempraments to be desired but never enjoyed, stances to aim for but never to reach. Derek Bailey please, we insist! Most great guitarists are artists who are defined by their instrument. 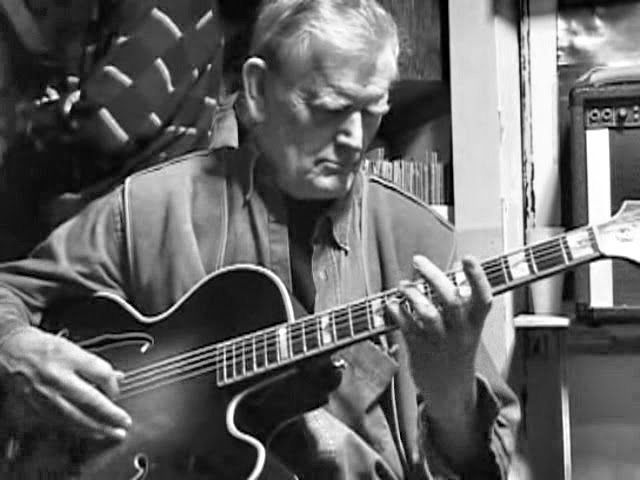 Derek Bailey was an artistic singularity who used a guitar while changing the whole idea of guitar in the process. Je me souviens de la première fois où j'entendis Derek en LIVE ! C'était au FESTIVAL de JAZZ D'ANTIBES; il joua en SOLO et pour un autre concert, en DUO avec Anthony BRAXTON. Quelle Expérience !!! Quelle Découverte !!! I remember the first time I heard Derek LIVE ! It was at JAZZ FESTIVAL D'ANTIBES; he played in SOLO and in another concert in DUO with Anthony BRAXTON . What an experience!!! What a discovery!!! 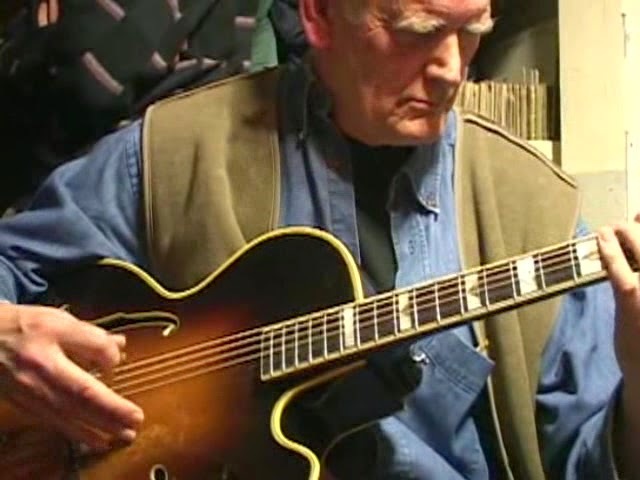 When I heard Derek Bailey the first time I had no idea what it was all about this free and brittle kind of guitar playing. Meanwhile, 20 years later - I have to admit that his music is still keeping my mind busy. And it´s not only the beautiful and free music that he played - reminding his radical and reduced approach is helping me to reach the core of my own musical ideas. 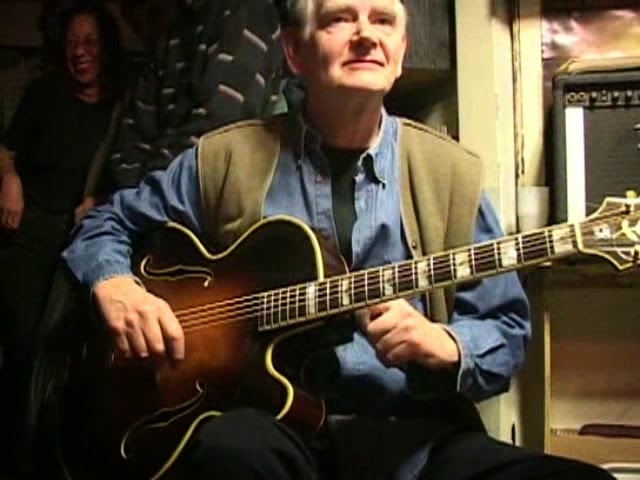 Derek was one of the greatest of all free improvisors, as we all know, and while his vocabulary and approach have influenced every guitarist (and many other instrumentalists) who followed, when I think of him what I mostly remember is his warmth, openness, and especially his droll, Yorkshire humour. It was a great pleasure and privilege to have known him. When thinking of Derek Bailey’s preternatural approach to music Cubism comes to mind, not because of the style in itself, but rather because of it having had the ability to shatter 500 years of the solipsistic dominance of ‘point perspective’. 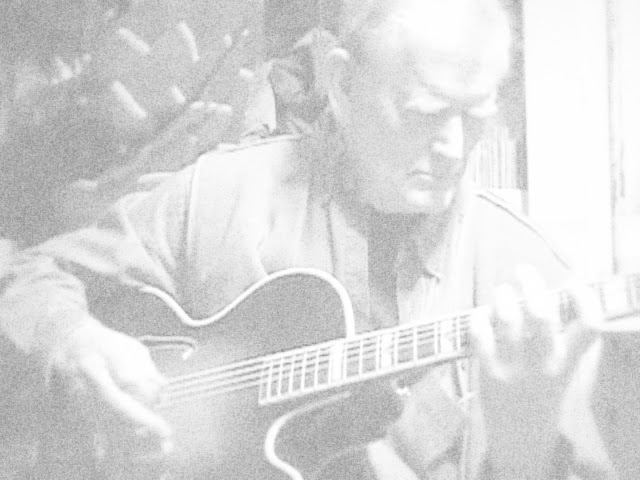 If one of the significant contributions of western culture was to propose a music form that was non-hierarchical, then Derek Bailey was at the epicenter of that revolution. He is one of those rare artists regarding which one can say there is a ‘before’ and an ‘after’. Charles Mingus recognized that in Charlie Parker when he recorded ‘Pre-Bird’. 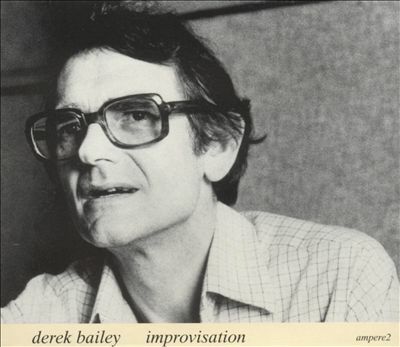 Derek Bailey was an improviser in the truest sense. He lived and breathed it. And a very important influence on how I think about the guitar and music. I still get so much from listening to him. 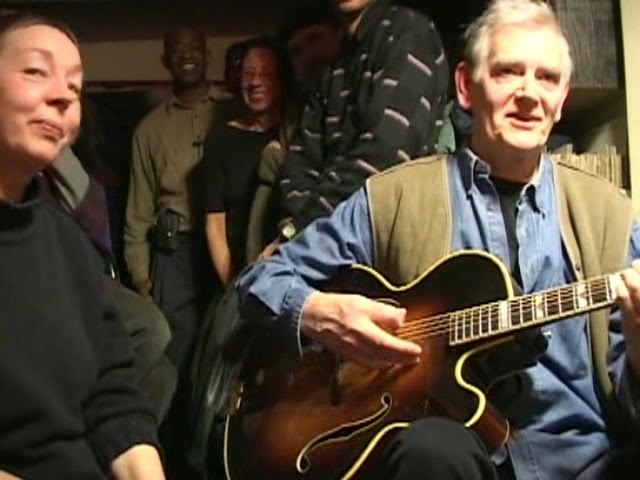 I only met Derek Bailey once - in Barcelona 2004. I played at the Minim festival at Can Felipa and just before my solo set I was walking past this gentleman. I didn't reflect on that it might be Derek, but when he was behind me I heard this voice that I heard so many times on my stereo. I immediately thought - that's Derek's voice! I remember thinking it was funny I recognized his voice and not his face. Derek Baileys music has had big influence on my own playing and was a door-opener for me upon my early attempts on improvising freely. And that voice... It was just a perfect match with his playing and obviously something that stuck with me stronger than all the pictures and videos I'd seen of him. La fuerza de un artista se mide por el cambio que es capaz de introducir en la tradición interpretativa de un conjunto de signos, en el modo en que es capaz de hacer que los demás oigan, hagan suyo, compartan lo que en principio es personal, íntimo, transformandolo en un intenso diálogo. Para conseguir un diálogo tan potente, hay que tener la fortaleza de poder hablar solo, de mantener el discurso sin que el público, el autentico referente, aparezca como destino. Los rasgos de un autentico creador son inolvidables, nos encontramos con él siempre que afrontemos un auténtico problema, siempre que la interpretación se enfrenta a un riesgo. The strength of an artist is measured by the change that is capable of introducing the interpretive tradition of a set of signs, in the way that is able to make others listen, take ownership, share what at first is personal, intimate, transforming it into an intense dialogue. To achieve such a powerful dialogue, one must have the strength to speak alone, to keep the discourse without the public, the real referent, appears as the destination. The features of an authentic creator are unforgettable, we find him always we face a real problem, provided that the interpretation faces a risk. After years, I'm still listening Derek's music with the same pleasure : I'm a guitar player and still don't understand how his mind works, how he brings so beutiful and powerfull energy with so little but precise things. 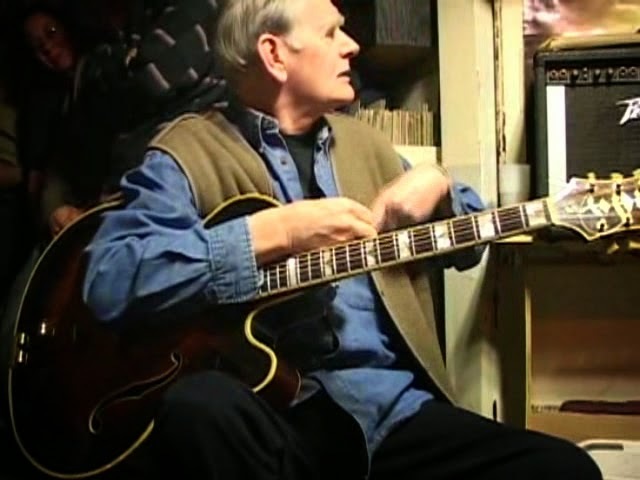 In classical guitar playing, the guitar has long functioned as a microcosm of the orchestra; Derek Bailey's vision to incorporate the concept of Klangfarbenmelodie into an improvised guitar language could be one of the most important concepts in improvisation and orchestration of our time. 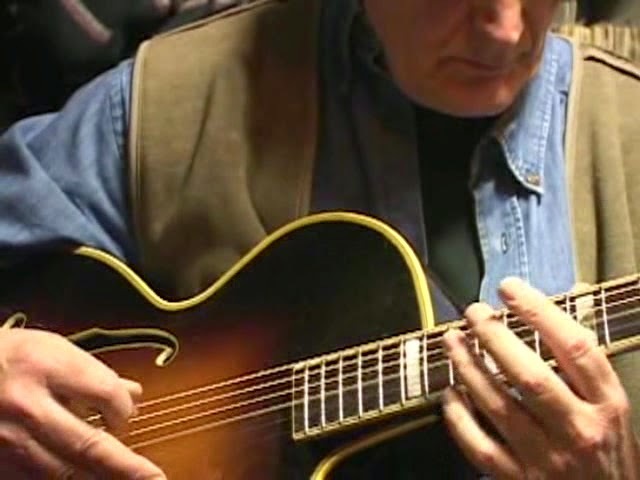 His importance and influence as an improviser is well documented; the longer tale of the undeniable recipe of timbre and harmonic-series based improvisation on the guitar, and its impact on composition, will continue to be seen. Um Canário na Ordem Zero. Não é necessário estarmos horas consecutivas a ouvirmos um canário a cantar, para nos encantarmos com a beleza do seu canto: um chilrear isolado é suficiente. Uns segundos a escutar o som das cigarras é o bastante para nos deleitarmos com tão requintada textura. Alguns instantes ouvindo as ondas do mar pode ser extremamente relaxante. Da mesma forma um cluster de guitarra pode seduzir-nos mesmo isolado de outros eventos sonoros. Um arpejo de harpa, per se, pode impressionar os nossos sentidos e existe beleza numa nota grave “fluttertongue” produzida por um contrafagote. Derek Bailey era um músico que se debruçava sobre estas isoladas “experiências sonoras” – onde cada evento é auto-suficiente e independente dos outros. Criou uma música que não tinha início – apenas começava – e não tinha fim – somente parava. Sem "climax" ou qualquer intenção de atingir um fim. Uma música que não criava expectativas, sem frases ou articulação e sem movimento ou direcção definidos. Uma música onde os eventos sonoros existem por eles mesmos em vez de participarem em qualquer progressão ou desejo de "cadência". O objectivo era o de, a um “módulo sonoro” acrescentar um outro, depois outro e ainda outro e por aí contiguamente, sem qualquer relação aparente entre eles, excepto o puro encanto de construír um abstracto encadeamento musical. Se os eventos sonoros numa determinada improvisação de Bailey se “colam” aos outros numa ordem em particular, então é porque essa ordem teria obviamente de influenciar ou mesmo constituír o sentido da própria obra: abstrações sonoras, movendo-se, criando tempo – tornando audível o tempo! O “tempo” na música de Bailey é um “tempo virtual” e por contraste, a sequência de actuais e concretos acontecimentos, é um tempo absoluto. Assim o “tempo”, torna-se no componente essencial para a compreensão da música de bailey e o veículo pelo qual a música faz um contacto profundo com o espírito humano. Por conseguinte, os eventos sonoros que formam as improvisações de Bailey, tornam-se num fluxo e não o “tempo” e a sua música transforma-se numa encadeada série de eventos que contêm em si não só o “tempo” como o “modelam” lentamente. A sua música deve ser entendida como uma sucessão de “momentos” sem direcção ou movimento definidos. Mas será realmente que podemos falar de “movimento” em música? Não será isso apenas uma metáfora? A única coisa que realmente se “move” é a vibração dos próprios instrumentos e as moléculas de ar que chegam até aos nossos ouvidos. 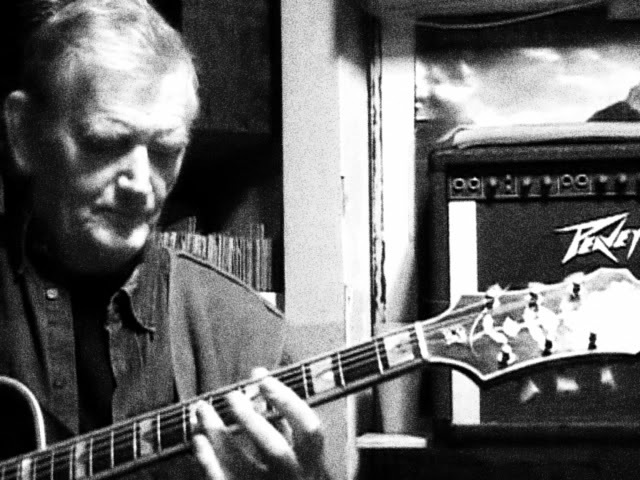 Derek Bailey fez e faz "vibrar" o melhor que há em nós! Derek reinvented an instrument, the guitar, and opened unexpected horizons to the musical landscapes we knew. Much later while I lived in Chicago I saw Derek perform live for the first and only time with other heavies like Brötzmann and Roscoe. After the first night, I walked up to him and told him he had been a big inspiration for me in the early 70’s. Derek was charming so I gave him the Hot House poster and asked for his autograph. He politely said that he’d prefer to sign as Miles Davis grinning that Miles didn’t like that one bit. I couldn’t refuse. The second night, I went up to Derek again and again asked for his autograph. He complied this time, though without interest. I wish I had a chance to actually talk to him about music. 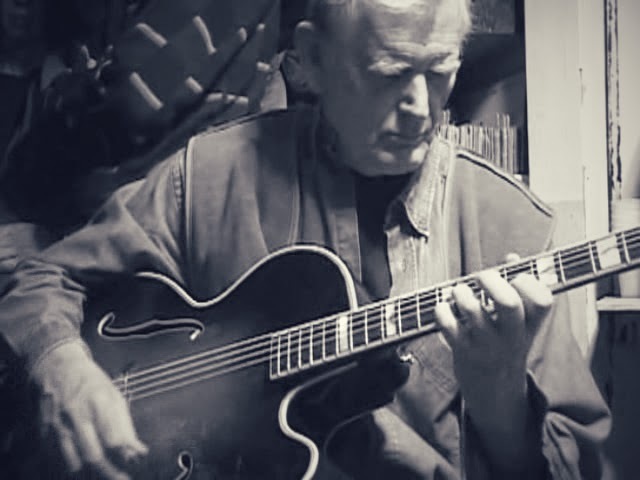 In my current solo work as a Multiphonic Guitarist, I still recall my early inspirations via Mr. Bailey; sounds from the entire instrument, not just the fretboard, and unconventional placement of guitar pickups and contact mics. As for Carpal Tunnel, I suggest anyone who has it – especially Musicians (I do), to take 200-500 mg of Vitamin B6. I’ve been relatively pain free for over 30 years. For me B6 is a miracle cure. No need for surgery. 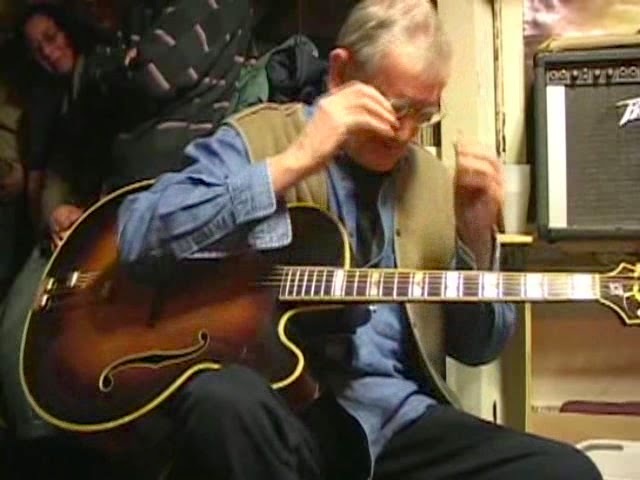 Derek Bailey is the greatest improviser guitarist of all time and the main influence for any contemporary guitarist. I love his tone, his musical phrases, his mood, his poetry...Listening to Derek's guitar is every time an unforgettable and visionary experience. God bless Derek and his guitar poetry! That, which while enfolding this now and present perfume, speaks, 'I will use to the fullest this form bestowed upon me' and blurs into the firmament - ah, where and in what form will it next be devised. His playing of standards opened my ears and mind to new possibilities with older materials I thought were exhausted. Hace años me topé accidentalmente con una grabación de un guitarrista indecifrable, un misterio maravilloso, Para mi fue la revelación, como los poetas que dan nombran a las cosas, a las cosas indefinibles. Ahí aparece Bailey, hablando otro idioma , llevando la guitarra y sus posibilidades a un nuevo mundo. Alza una nueva voz y establece nuevas fronteras más allá de nuestros antiguos límites. 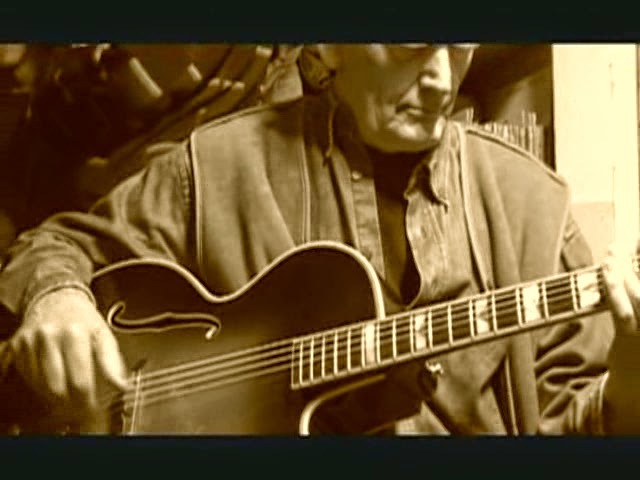 Absolutamente hay un antes y un después de Derek Bailey , su legado es insondable, escuharlo es admirar un río caudaloso y feroz. Hearing Derek Bailey on record for the first time in 1972 made me realize that "we are not alone" - the aliens had landed and they are us. And it was fine. In fact, it was fantastic, not only to hear Derek's particularly austere and spiky take on the outer limits of guitar and of the grammar of music itself, but to know that it could be captured and disseminated. To finally meet the man at Soundscape in 1980 and then to play together had me both overjoyed and quaking in my boots. Derek's seemingly steely presence soon gave way to his warmth, humor, and keen intelligence. A favorite moment: asked to accompany a journalist interviewing Derek for Guitar Player magazine, I was witness to a fabulous extemporaneous (and completely fictional) narrative about the history of improvised guitar in obscure seaside lounges in England in the early 1950's, all recounted completely-straightfaced and with nary a wink or smirk. While having coffee after, just the two of us, Derek let loose with a fine cackle of glee. In 1990, Derek joined Slan, the improvising trio of Ted Epstein, John Zorn, and I, for a gig at the old Knitting Factory. I had brought a Telecaster for Derek to use. He normally favored hollow archtops, but casting a hairy eyeball at my battered plank, Derek muttered that he'd had one of these once and then with a twinkle in his eye, proceeded to deliver a barrage of absolutely blistering sonics until the house Twin Reverb gave off a cloud of smoke and went silent. A choice memory of Derek was a relaxed afternoon meal in Lisbon with him and Karen in an outdoor restaurant with current politics and a bit of reminiscence being the topics of discussion. Derek Bailey drove a Formula 1 car, playing that way. I'm still driving a diesel car, but his lesson was not to go faster, simply to go ahead. Derek est l'un des musiciens qui m'inspire le plus. 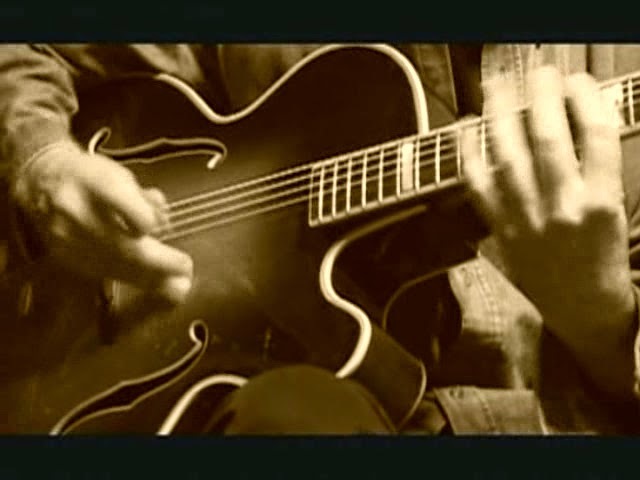 Pour le jeune guitariste que je suis, la découverte de cette musique m'a totalement ouvert les yeux et surtout les oreilles. Une musique véritablement nouvelle, qui ne ressemble à aucune autre et dont le seul code à respecter est celui de la liberté. Derek était peut-être le musicien le plus talentueux de sa génération et il restera longtemps gravé dans la mémoire de celui qui a pris le temps de l'écouter. Son discours est unique et personne ne pourra jamais jouer comme lui. Ma seule déception sera de ne pas l'avoir connu. Improvisation is my favorite ingredient of music. My most beloved musics and the musics that I enjoy the most are those with the maximum amount of improvisation. than any musician that I had ever heard before. Derek is still my favorite musician to listen to. If music is food for the soul, as Ali Akbar Khan has said, Derek is the most nourishing for me. Soon after first hearing him I bought my first guitar and started to play. Without Derek, that would never have happened. I play guitar because of him, and I every time I play I am thanking him for that. Derek left an immense legacy of freedom and expression. Once again I say: Mahalo and Aloha Derek Bailey. A unique musician who will take us forever, his sound so personal and visceral still accompanies thousands of people. I met Derek in 82 in New York. I had received a French grant to be there, take time, play, meet people... Great time! I saw Derek's name in The Voice and I contacted him. We played all day and drank tea! It was fantastic; the only thing I remember in this place was a small matelas, a table and a huge pile of Incus discs on the floor... and we played and talked, drank and played. 'Le gentleman à la guitarre', I could call Derek; I learned a lot with him; later in New York, he invited me to Company, then we played in England, the BBC where we recorded, then we played quite a lot in duo in Europe and recorded again until the last time in duo, also in Liverpool, two or three years ago...Derek was a great 'elegance' person, with a lot of spirit, very funny sometimes and a 'strong' individualism, all his playing, his life and his musical life was an 'elegance': only this simplicity to be, to be a musician without any hierarchy in sounds, aesthetic, gentle, just 'making music together'... It's rare!!! We never talked about music after concerts!! But I learned this jubilation, this freedom to be 'you' and responsible. In any case Improvisation is a collective music (even if we sometimes like to play as soloist) but just play this unique result like a 'foods' is natural; this unique result can ask us a lot of questions, but also sometimes transcend us! Merci Derek, nous sommes un peu orphelins maintenant... so long. 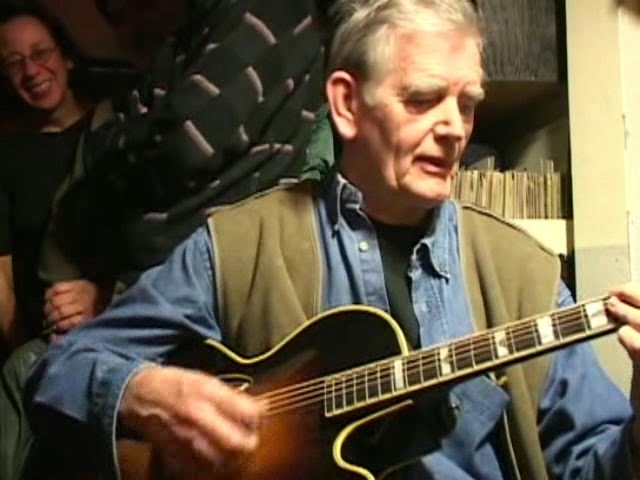 Derek Bailey: the most 'great example of freedom', we will miss you always! 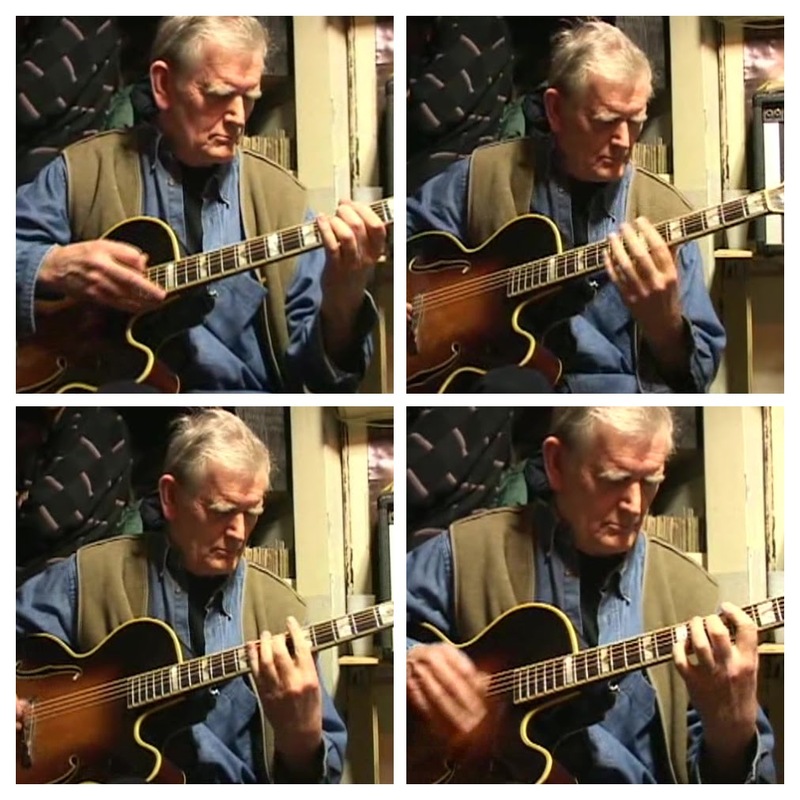 Derek Bailey remains something of a myth. Of what? He was, for me, one of those great legendary guitarists, a basilica on a gigantic pedestal outside of time, like a titanic Hendrix or faustian devil-may-care Robert Johnson or Manitas de Plata, even while he, the good Derek of Sheffield, was yet breathing among us, even when -- after I had met players like Jack Wright & Daniel Carter -- I started to learn that musicians were (some of them, anyway) approachable human beings. 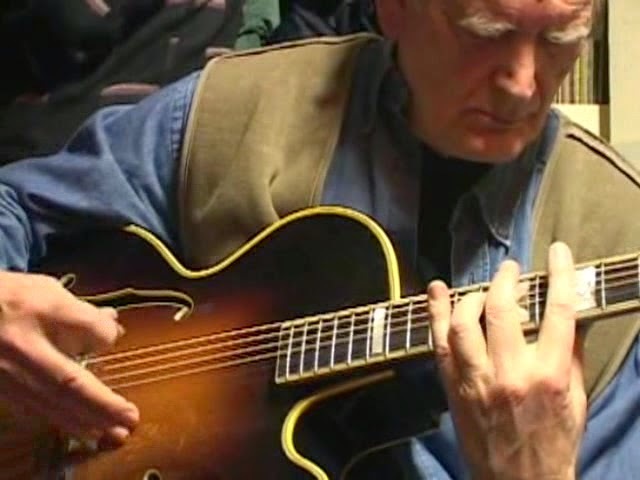 But I never approached Derek Bailey, despite his tremendous influence on my life...because it was indeed after listening to him that I tried to depress notes with my toes, to bend feedback without touching strings, to avoid "scales". Why I never contacted him depends less on my own awe-struck Lampenfieber (which certainly existed) or some sensation of being out of my depth, than it does upon the simple fact I never had an opportunity to see him play live, to meet him, which is pretty bizarre, now to think on it, since Oxley and Parker, I have, numerously. There is one other element involved in my inability or failure to reach out to him -- not to mention that I entered "the game" a bit late in life-- but there were certain tectonic shifts in the aesthetics (and therefore the politics) of the younger musicians I was associating with during the time when lower-case, onkyo (as quiet school) & so-called reductionism were fresh and ascendant blooms. 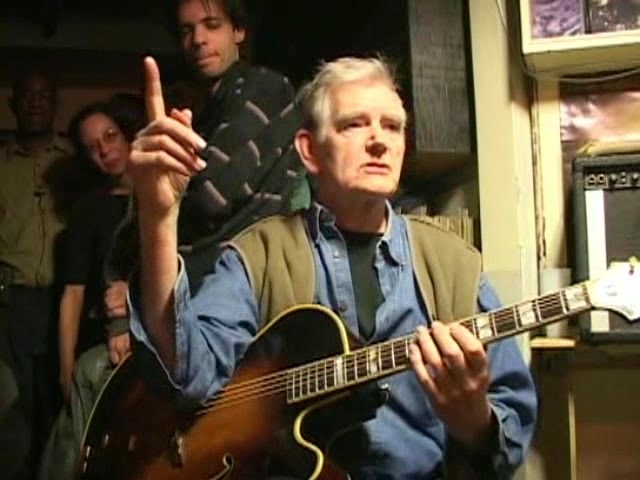 While I am relatively certain most musicians in these schools or streams would never denounce Derek Bailey-- who was arguably one of the most cracked, brilliant & fertile musical imaginations of his generation and in my opinion an undisputable influence upon and even a necessary study for anyone who plays improv guitar (prepapared or unprepared)-- it also seems clear that of these many players he impressed a few of them wanted perhaps to get over this influence and establish new musical identities & explore another vocabulary. Rather famously demonstrating my point is Taku Sugimoto's distancing himself from Derek after what appeared to have been some happy years. That Derek's playing might have become symbolic of the fast-paced, bristly and busy, grand-central-station-on-fire-alert school of super-chops improv sqwonk is however for my own sense of things almost un-noticeably without severe import because he was after all a master of great compressed silences that he fit into, that gapped, the space, between. Notes. Which he seemed to know when and when not. 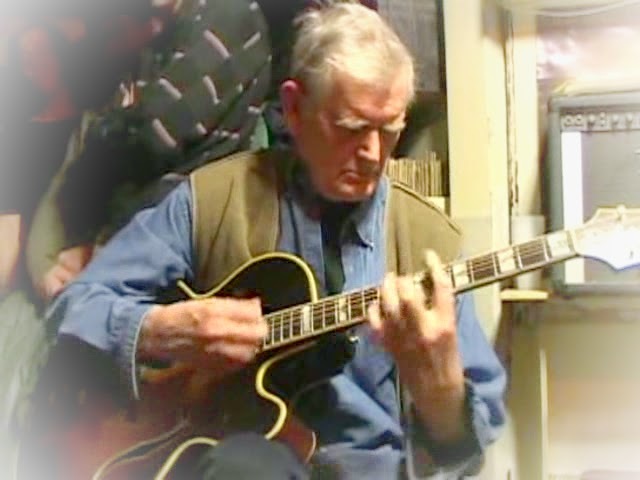 Derek Bailey played the guitar fearlessly. His example opened the door to communication between all musicians of any background at any skill level, and thus all people. Improvise!! 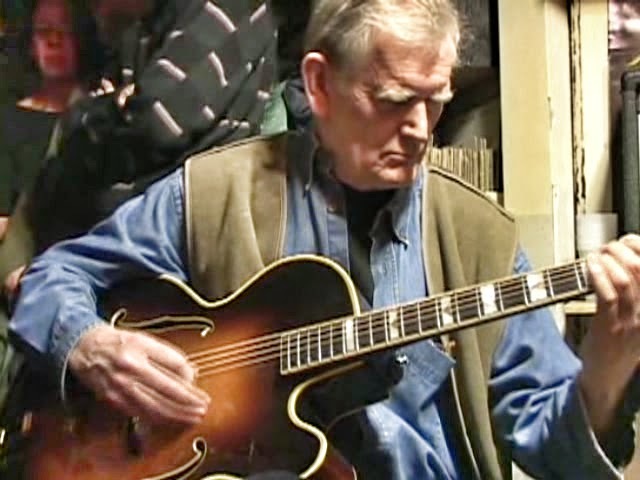 Despite his obvious formal innovations Derek Bailey was foremost a champion of the personal, idiosyncratic and introspective voice. His iconoclasm and humor continue to illuminate an exit from the lurking traps awaiting all improvisers, idiomatic or not (for those who believe a "non-idiomatic" music is actually possible). Somehow, i feel like guitar history ends with him. 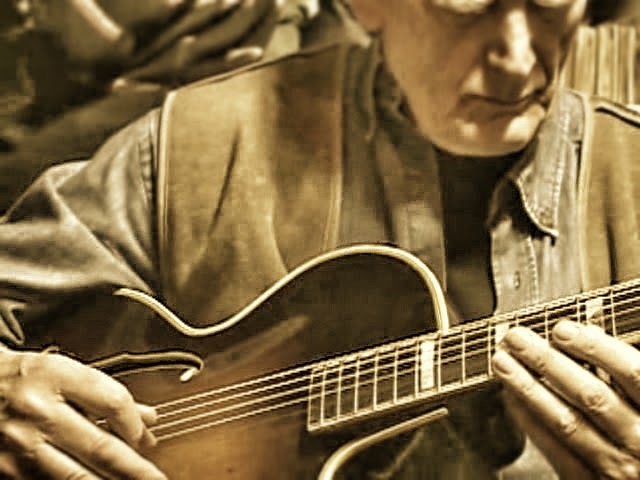 When I was exploring the range of what was possible on the guitar in the early 1970's, more than anyone else, Derek Bailey opened up revealed entirely new horizons for me, both in terms of guitar technique and in the extreme musicality of his improvisations, which seemed to be completely unrooted in any idiomatic tradition, yet which, when you listened closely, flowed with the elegance and surprise that one associates with someone like Mozart or Bill Evans. Sadly, I never got to see Derek Bailey live. The closest I got was to purchase the DVD of his concert at Downtown Music Gallery. Still, on the strength of that and his records, he has become a touchstone by which I judge much modern art—not just music. He showed me, no matter how abstract your approach, if you have complete command of your medium and the internal logic of your personal language, you can communicate to anyone with an open mind. The proof of the universality of his idiosyncratic style was the way it fit in a surprising number of contexts: solo acoustic, drum and bass, songwriting (David Sylvian), and a host of others. He was a true master. 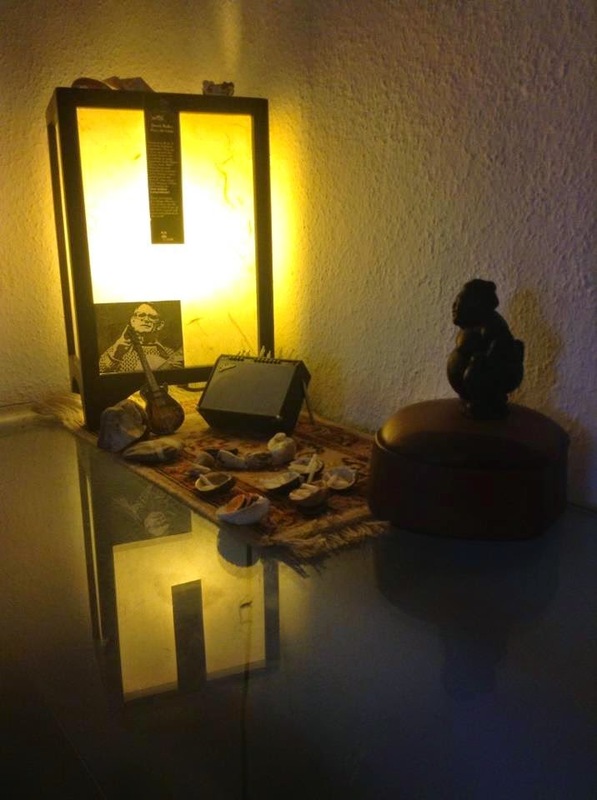 silences….all about the music, always was the music, always will be the music….thanks derek. 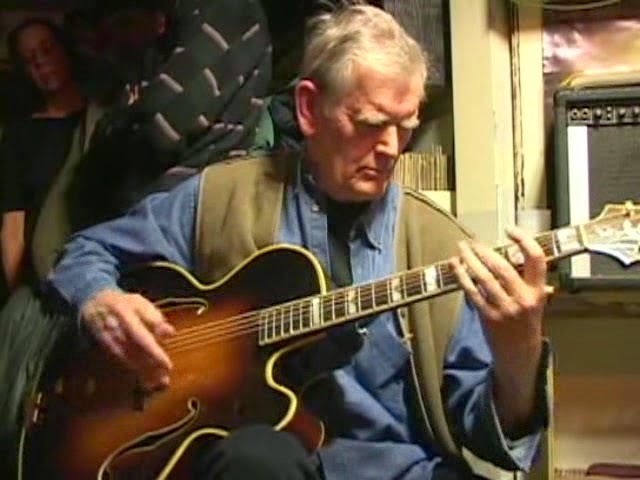 Derek Bailey played guitar like no one. Like he had never heard an other guitar player before. I visited him once, and asked him “How come do you play like that?” He said that from the beginning, he was not inspired by references imposed by musical history. 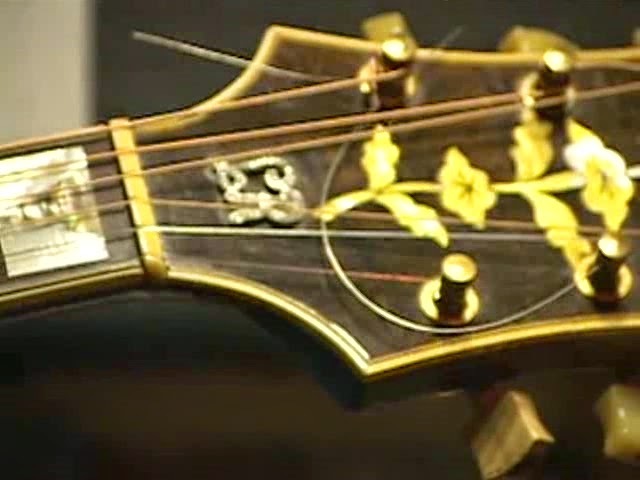 He was inspired by the instrument: the guitar itself. An immense player. A unique improviser. A gentleman. To me Derek is one of the true great musicians of the twentieth Century. This is not an empty phrase! in terms of musical radicality only John Cage can compare and compete. 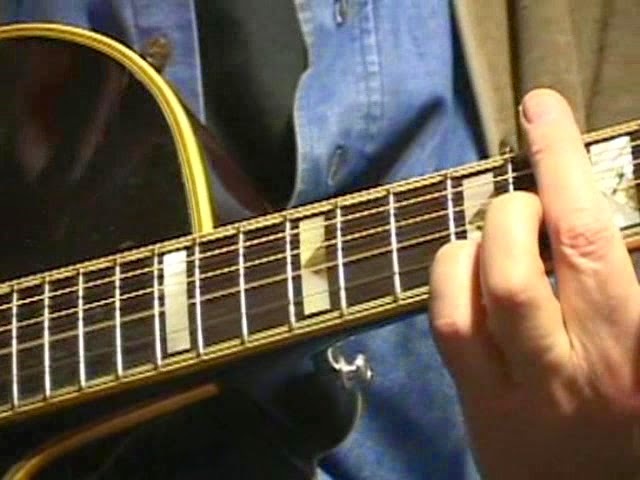 The way he managed to play music completely without musical tension is simply amazing. This is not ironic. He was making music on criterias that were completely opposite those that reign in all other music.And the way he managed to keep on doing this meeting all kinds of improvisers is unique. it is not difficult to imitate his sound, but to imitate his music seems completely impossible.
" 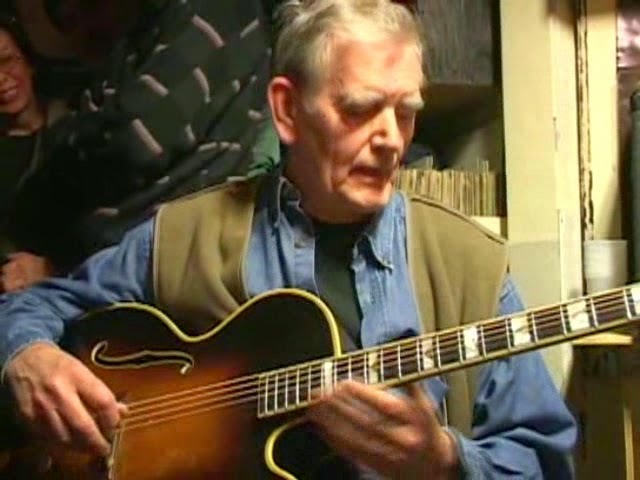 Ah Derek Bailey! What a divine being! 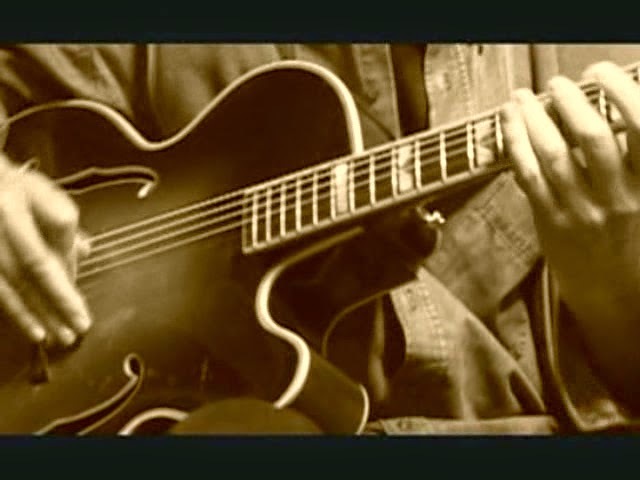 I have a special love for solo guitar playing and his solo performances and recordings are favorites. 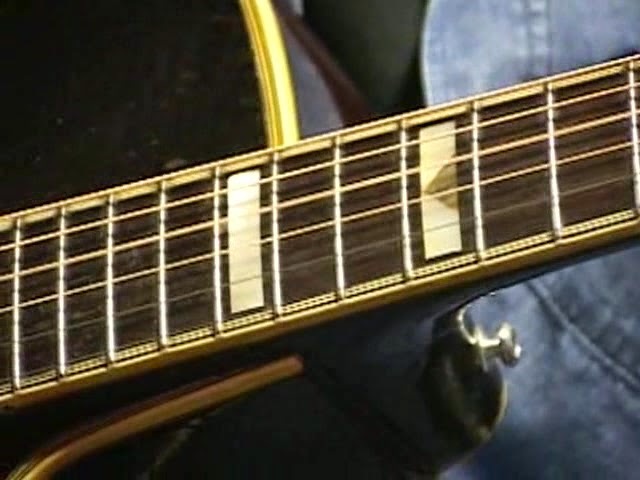 I have never grown tired of 'Pieces for Guitar' and 'Domestic and Public Pieces for Guitar' (I am listening to 'Happy Birthday to You' as I write this) and 'Lace'-the music is timeless. I take great delight in turning all my students on to him since virtually none of them are aware of his music. The result is usually 'aesthetic arrest'! There's a short list of guitarists that have mapped out a completely new terrain on the instrument and Bailey is one..in a way him and Jimi Hendrix are the defining guitarists for these times... both of them pose the challenge of freedom and the discipline it takes to find your own voice within it. I dream about the village of Huy in Belgium where a TV series entitled The Missing is set. The locale is familiar to me from gigs in Lilles, Lieges, Pas-de-Calais and Riviers. A couple with a small child spend the night in the hotel and their child vanishes under mysterious circumstances. In the dream the hotel is like one aspect of the Tennessee Banjo Institute held in Cedars of Lebanon Park. The institute had a sign-up jam going on in the Ranger's Cabin all day, on a 12-hour schedule. Every hour a different player or group was there playing and anybody could come in and jam. In the hotel there was a sign up clipboard in the lobby pertaining to activities in room 53. Different players are on the schedule, if you sign up you get to show up at the appointed hour and jam. Henry Kaiser approaches me in the lobby. "Derek is in room 53 at 3:30 p.m.," he tells me. Then he asks "How many times have you played with Derek?" I can remember a half dozen times, distinctly I can remember five times and then I added one more for good grace. I feel like I can remember the specifics of each of these jams; after all, how many chances did I have to jam with a musical master? Sometimes it is only the limitations of the jam I remember the most, however, like the ones is in his house: "I only like to improvise for 20 minutes." He set an alarm above the stove. We had a hallah I had brought warming in the oven. "We should definitely go jam," Henry is encouraging me. I know what he means, no chance to play with this guy should be passed up. "We didn't get to the clipboard in time," I worry aloud. "Isn't there a sign up deadline?" "They would have something like that connected to free improvising!" Henry cracks. "But Derek wouldn't care--he knows us! We can just show up." I don't see what could go wrong but approaching the room I start to worry if I would have been better off coming alone, maybe Derek doesn't like Henry as much as me? I mentally configure the announcement I will make when he answers the door: "We decided just to show up and play," not "Henry and I decided to show up and play." The door opens when I knock but all there is in the room is vapor, not even any furniture, no sign of Derek. Listening to Derek Bailey inspires me. “It doesn’t matter what sort of instrument you play, a Stradivarius or a tin drum, its the person behind it that counts.” His influence on my music and art is immense because his example always brought it back to myself. I think I always felt he was saying you are the instrument. Derek Bailey Imagen de fiera,sueños de niño. Soledad solidaria. Derek Bailey Beast image,child dreams, solidary solitude. Derek was more important than even he knew, or cared about to begin with. Anyway, I was watching him play solo at some gig in south London. Several college student-looking people, who clearly weren't liking the music, exited the auditorium. As they passed the front of the stage, they angrily threw their ticket stubs onto the stage at Derek's feet. Totally nonplussed, Derek remarked, "Yes, well I figured it was about time for a clear-out." Derek was a fellow who did what he did (which was massively innovative), not because he thought he'd be famous or admired, but because he wanted to do it. As it turned out, he was both famous and admired, not that it made any difference to him. And that in itself is to be admired. 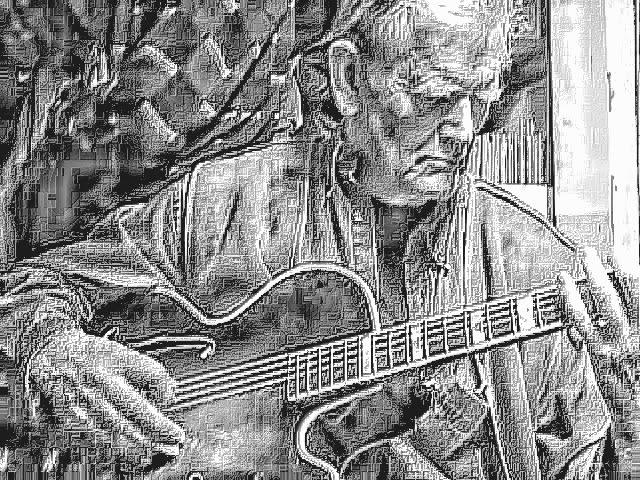 Derek Bailey, I shall always be indebted to you for endless hours, days, years and lifetimes of inspiration! Too many moments to mention just one, but oh how my ears delight as you come to vivid life with every note or sound you play. "This is the Age of Oddities Let Loose" (Morgue 03) - so true, so true. You say that "Improvising alone, before an audience, is not without it terrors," yet your intrepid ability to always be in the moment sends all fear into oblivion. You are ever present, ever alive, your notes sparkling like iridescent gems in a moonless sky. I hope you would like your quote in my book of dialogues with great improvisers of creative music, for how could you and your courageous spontaneous inventions not be the essence of Outside Music, Inside Voices? Who will read the newspaper to us and reveal the ironies and dramas of our everyday existence? The deconstructions of words set in print, seemingly unchangeable, when imbued with your unpretentious improvisations, are given alternate purpose and meaning. You also say that "Improvisation exists because it meets the creative appetite that is a natural part of being a performing musician and because it invites complete involvement, to a degree otherwise unobtainable, in the act of music making." My appetite grows with every passing year, and I thank you dearly Mr. Bailey. For anyone interested in free improvisation as played on the guitar, history divides into Before Derek and After Derek. Many took it far, but no one took it all the way out to the extent to which Mr. Bailey did -- his achievement was so thoroughly and uncompromisingly pursued and accomplished, it remains practically insurmountable. As Jean-Luc Godard said of Orson Welles: All of us will always owe him everything. 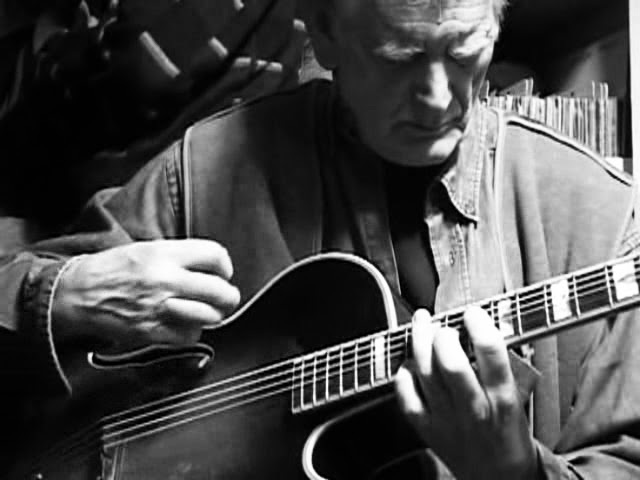 Derek Bailey reinvented the guitar. 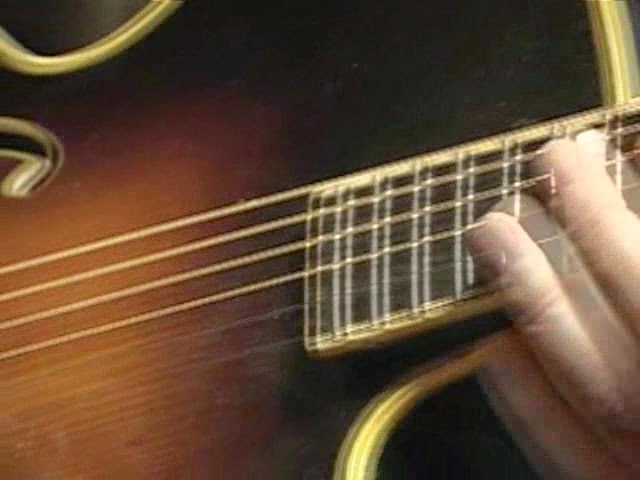 His aggressive pointillist combination of open strings, stopped notes, harmonics and extended techniques like scraping the strings with a pick are still shocking to the uninitiated today. Along with other like minded musicians, he created an entire new musical tradition. At the time nothing sounded like them, guitarists certainly didn’t sound anything like Bailey. There was more of a concern with the textural details of the music than with any kind of harmonic movement. Sonic adventure was the name of the game, I’m still surprised when ever I hear a recording…the music still sounds fresh to me. Derek was one of the most original guitarists I’ve ever heard. Confesso di aver letto Bailey prima di aver ascoltato la sua chitarra. Il suo libro Improvisation è stato sempre per me un perfetto esempio di un pensiero profondo, attento e radicale. Poi ho ascoltato la sua chitarra e ho capito che sotto alle sue dita c'era un mondo ancora più esteso e profondo. 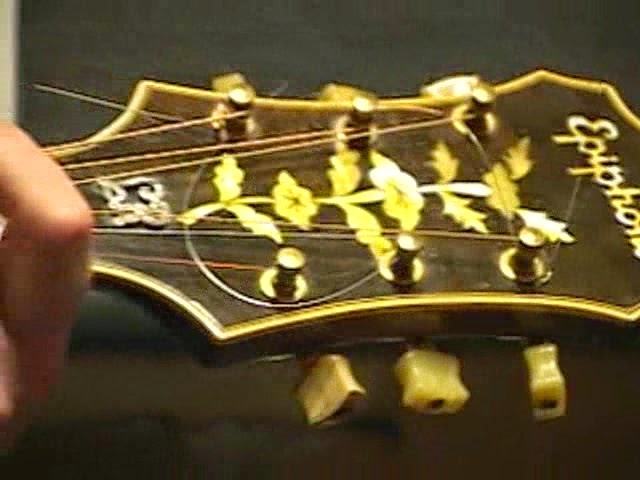 I confess that I have read Bailey before hearing his guitar. His book Improvisation has always been for me a perfect example of a deep, careful and radical thought. 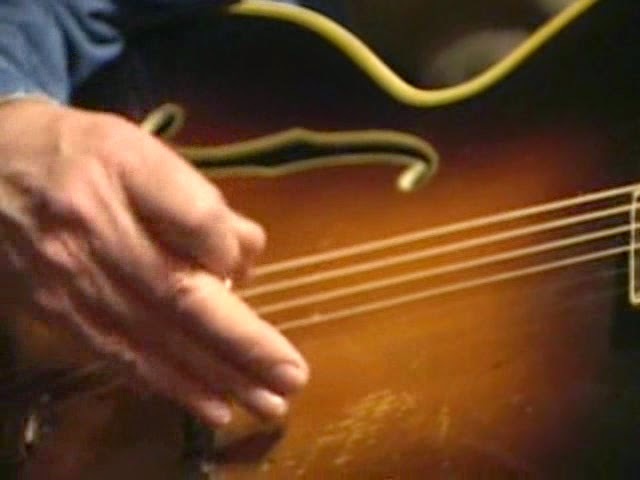 Then I heard his guitar and I realized that beneath his fingers there was an even more extensive and deep world. 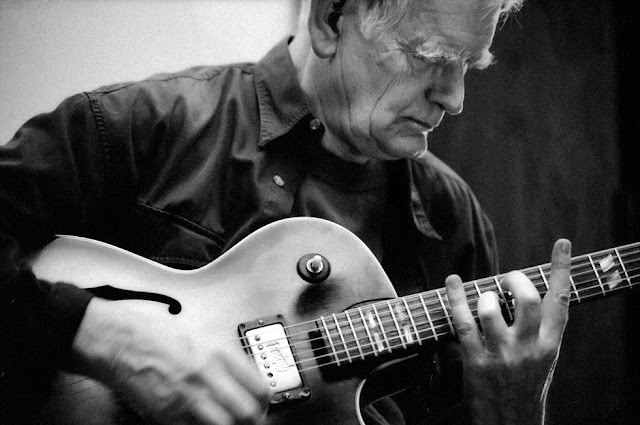 Hearing Derek Bailey live or on recordings, it always seemed to me he never in his entire career ever played the same sound twice. The attack, the duration, the decay, and even silences were different between each tone. And it all happened with such naturalness and fluidity. Sounded perfectly." 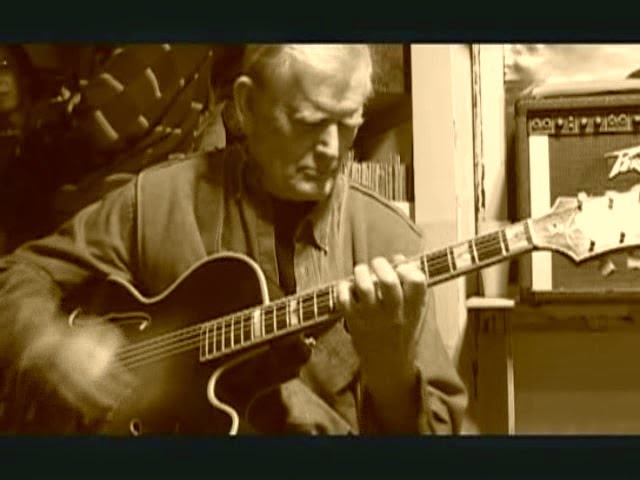 Derek Bailey - an original with a language all of his own. I got into Derek's music quite late, and I it was Henry Kaisers "Domo Arigato Derek-Sensei!" that made me realize I had to do my homework. And I´m still discovering new and interesting sides with his music and philosophy every time I put on an album or read an interview with him. Derek Bailey: the inventor of the non-idiomatic idiom. Can someone be a retroactive formative influence? 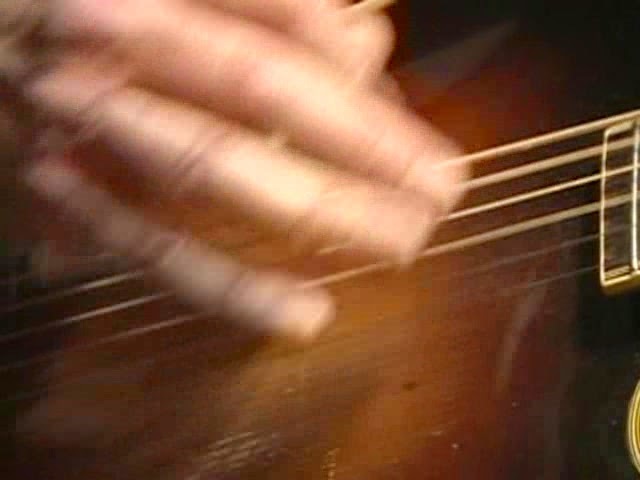 With one particular unrestrained volume pedal roar (in concert with Dennis Palmer and Bob Stagner on March 27, 1999, at First Existentialist Congregation, Atlanta, Georgia), I was physically changed. Literally. I still feel Derek's swell in my right ear, many years later, and before, and hence. I met Derek Bailey only once a long time ago in Japan, but he existed in my music from more earlier and even now is in here. Somehow one of my expression is similar to his sound although i have never copy his note. 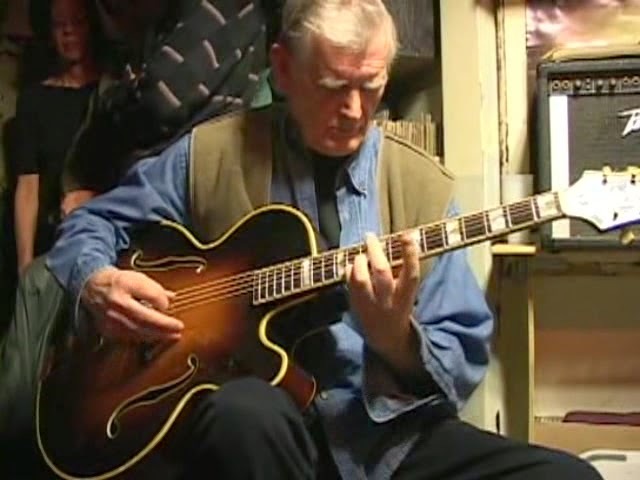 Derek Bailey, and archtop guitar changed my music life. I am really appreciate to him. 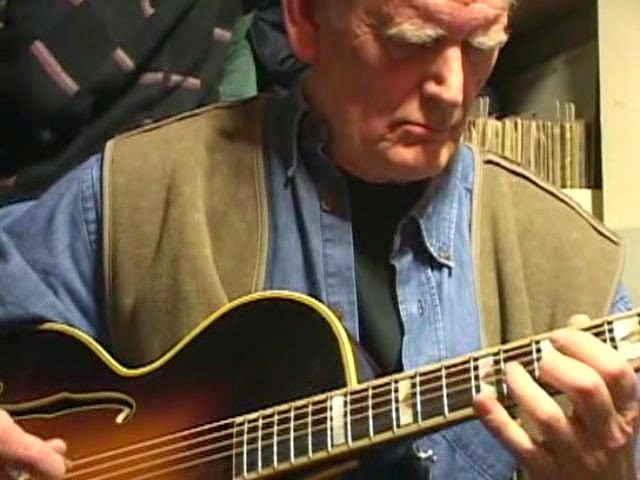 I first heard of Derek Bailey in 1970 from the then guitarist of the National Jazz Youth Orchestra, John Maskell. 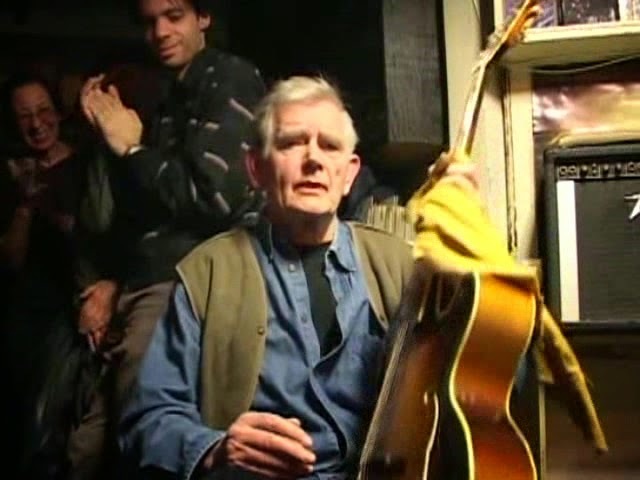 He told me that there was this chap, Derek Bailey, who played improvised music, but also taught conventional jazz guitar and was reputed to be an excellent teacher . 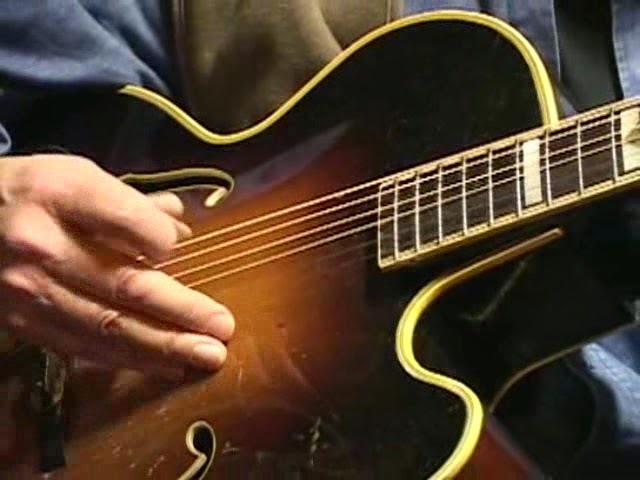 As I was a big fan of Jim Hall at the time and wanted to play that way,I decided that I needed to get some improver lessons. When I telephoned Derek he told me that he had no more slots available but before we ended the call he asked me who was my favourite guitarist . I told him that it was Jim Hall. He replied that he was his also. 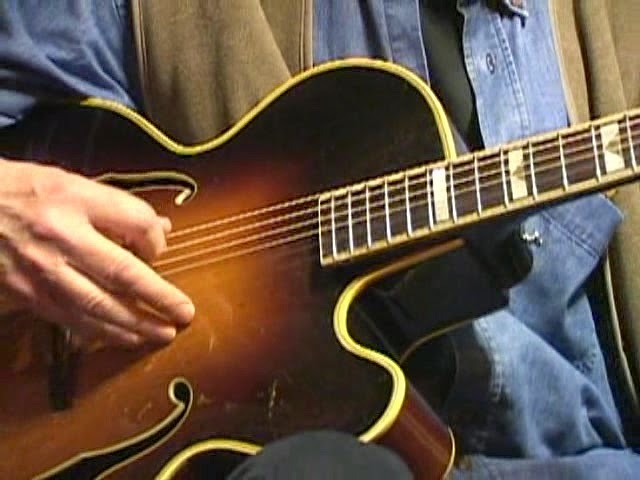 He then asked me what kind of guitar I played and I replied a Gibson ES-175D and he told me that had the same model. After a few seconds thought told me that he would take me on as a student and I should meet him in the basement of the Selmer music shop in Charing Cross Road the following Saturday. (It was there that the photographs for his first solo album Lot 74 were taken showing guitars strewn all over the floor). After months of tuition I gradually became more interested in his music and wanted to try to play that way. 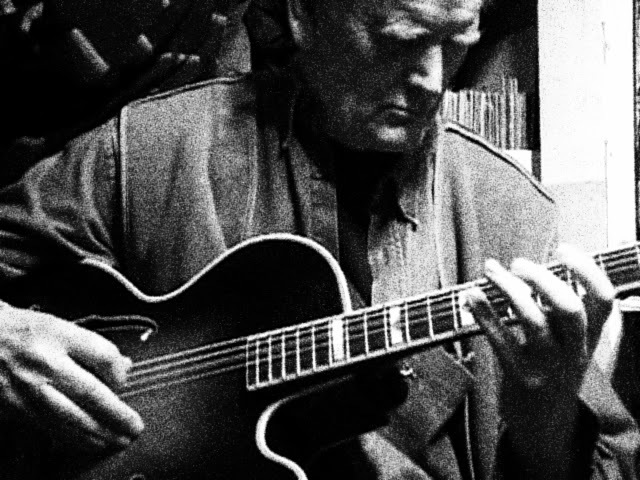 At the time I did not realise the complexities in his playing and following a discussion his only advice was to explore the guitar, looking at intervals, sounds and structures in my own way as if I had never seen or heard one played before. Over a few months he introduced me to many other musicians at the venues he played at including those musicians I played with on Incus 11 album Balance, namely Phillip Wachsmann, Radu Malfatti, Colin Wood and percussionist Frank Perry as well as a host of other so called second generation players including John Russell, Roger Smith and Steve Beresford. He was always very generous with his time and often I would stay overnight at his place if I had been playing in London. During all the time in his company he never showed me anything on the guitar, he only advised me to explore different areas if I wanted to. His generosity was such, that he created opportunities for younger people to play at Musician's Co-Operative gigs and later asked them to join. Our common passion, aside from the music was the mutual interest in football and cricket and we would spend hours debating the various teams and their ability or not to play, often while having a drink at his local, just like any ordinary man. I called him just after he had released the album Ballads when he said to me "give it a listen Ian, it is different from the usual way I play. Tell me what you think of it". Sadly I never did and he moved to Barcelona . The last e-mail I received said "Its beautiful here Ian you must come here sometime". Again I never did and I regret his passing. The disc that I take with me on a desert island (cliché)? 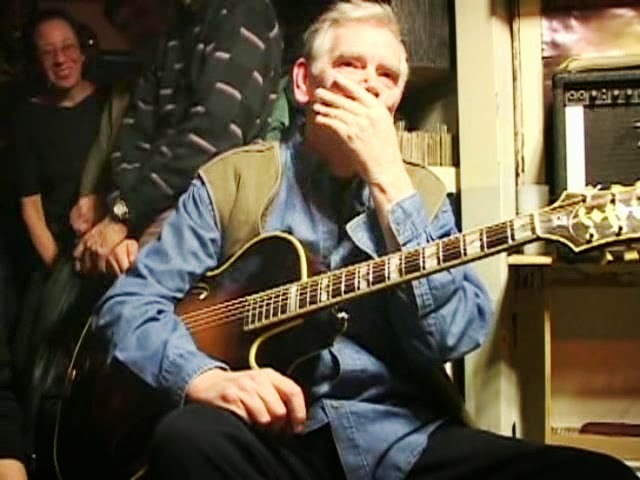 Without any hesitation, the Ballads of Sir Derek Bailey ... The reasons are numerous, subjective and highly personals. Here are just some of them. Why do I say that this is the ultimate guitar solo disc? All the music is there. Written and improvised, erudite and popular, melodic and abstract, easy and difficult... Much of the music of the twentieth century and even beyond. 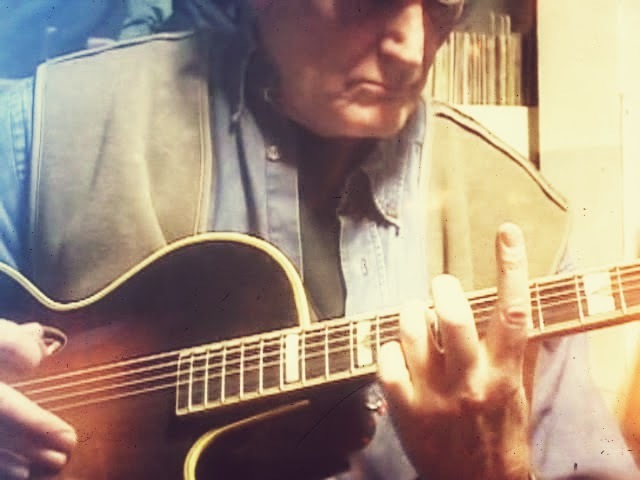 Some (even many) would say that this music is easy (how many times have I not read that anyone can play as Derek Bailey, even a child, a beginner...), as some have already done about other artists (Picasso, Klee...). But is not this precisely the great strength of these artists; giving the impression that everything is easy, everything is possible? Is not that right, this quality that one day helped me to go into music more than thirty years? If today I practice guitar, bass, this is not to copy such an artist and such a group, but rather because people like Mr. Bailey dared to be free (keep the child cool) and were able to communicate to me. Une grande partie de la musique du vingtième siècle et même au-delà. Certains (et même beaucoup) diront que cette musique est facile (combien de fois n’ai-je pas lu que n’importe qui peut jouer comme Derek Bailey, même un enfant, un débutant…), comme certains l’on déjà fait à propos d'autres artistes (Picasso, Klee, ...). Mais n’est ce pas là, justement, la grande force de ces artistes ; celle de donner l’impression que tout est facile, que tout est possible ? N’est-ce pas cette faculté, cette qualité qui un beau jour m’a aidé à me lancer dans la musique à plus de trente ans ? 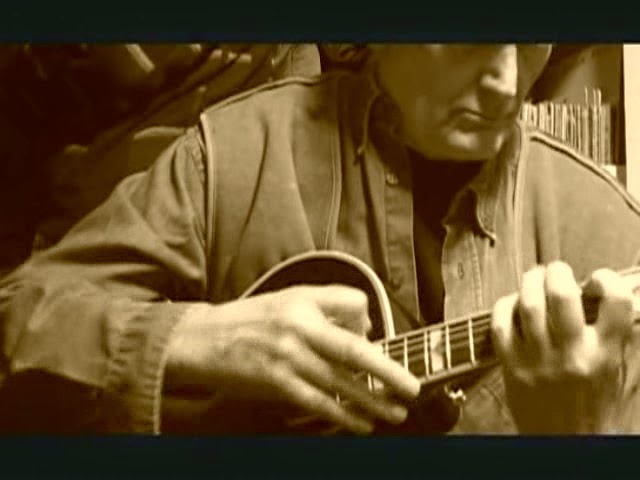 Si aujourd’hui je pratique la guitare, la contrebasse, ce n’est pas pour copier tel artiste ou tel groupe, mais bel et bien parce que des personnes comme Monsieur Bailey ont osé être libres (garder la fraîcheur de l’enfance) et ont su me la communiquer. 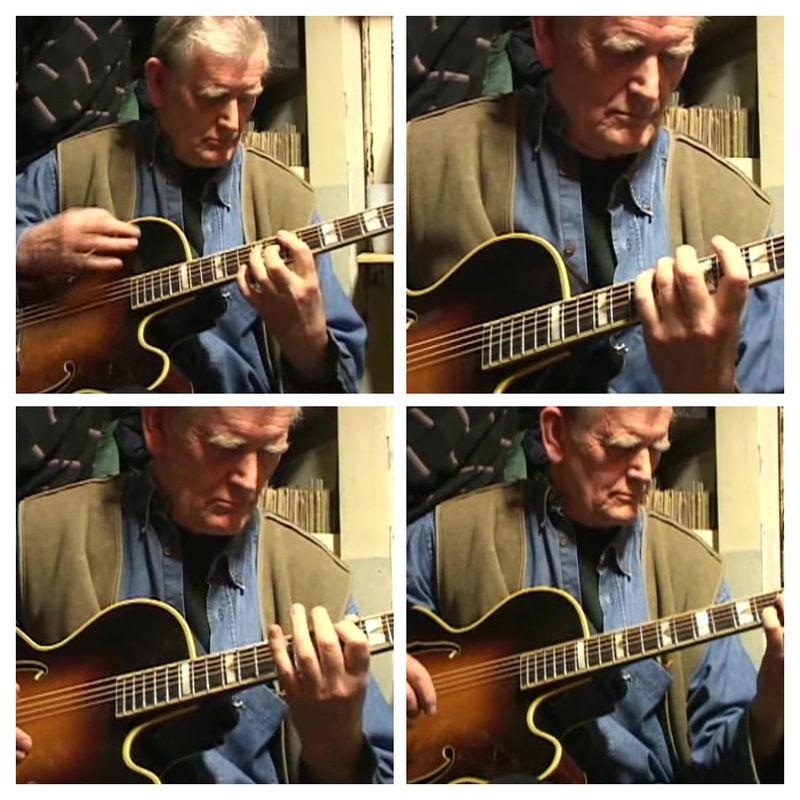 My personnal tribute to Derek Bailey! 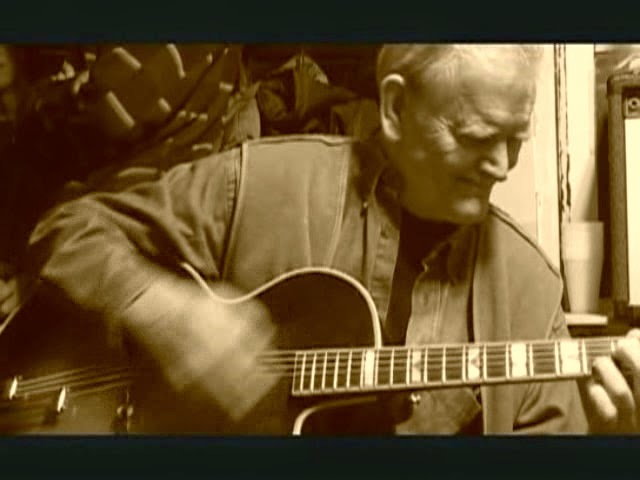 Indispensable musician, when I listen to Derek' music, I hear the Blues, a lot of soul. I've first heard of Derek Bailey, i think, cited by Thurston Moore in an Interview for a fanzine in the late 90's, so i've quickly bought his two duo with Evan Parker "Arch Duo" (Rastacan) & with Steve Lacy (Potlatch) both released on '99. This discovery push the boundaries of possibilities of playing as guitarist. I was into indie rock on an aesthetic rejecting virtuosity and very few improv apart in groups like Sonic Youth. So i can say, he's the first musician that pushed me to make improv, and i remember well played in duo with a friend sax/bass clarinet player 2 years after quite inspired by his playing. On his discography, there's 2 albums that i particulary like two solos : "Pieces for Guitar" (Tzadik-2002) & "Aïda" (2nd edition in 1996 on Dexter's Cigar). I only had the chance to see Derek live at MIMI Festival on an island close to Marseilles, France in July 2004 in solo. It was quite touching experience as he was quite weak already and he played very slowly watching his guitar case like a score was inside. That made me realize the inspiration he should have been for Taku Sugimoto. Until the end a lot of people didn't understand him, his playing and i remember filming some excerpts of the set with people constantly passing by, i was quite furious about it, how can you leave a concert with such pure fragile beautiful music. I remember also that i've taken the same boat as him after the concert, too shy to come to talk to him, but i was proud to be on the same boat that a true legend of experimental music. I've heard he was dead a few hours before seeing Peter Brotzmann & Han Bennink duo at Instants Chavirés, the loop was looped. When I think about Derek, I feel a great sense of love and gratitude, for all the times we spent together. The alchemy of playing together, at gigs, and in the small studio upstairs at Downs road, followed by the ritual of champagne, and a simply wonderful meal prepared by Karen, and all those other special occasions out. He once told me he hated just eating, he liked to do something else at the same time. Eating with him socially, certainly was doing something else at the same time. Beyond anything finite, there was also hearing the after echo of his playing, for hours and days, afterwards. At our last recording, singing right into his guitar. I miss his candour, his total lack of, or tolerance, for pretension. But most I miss his presence in my life, his music, his voice. Derek was a one-man revolution of what's possible and some people still recoil in shock and horror at it today.....in fact, to fear another man's imagination has become a sport of sorts amongst a certain branch of rank-and-file, card carrying "musicians"......but thank the gods and goddesses for souls and minds and IMAGINATIONS like Bailey's ! 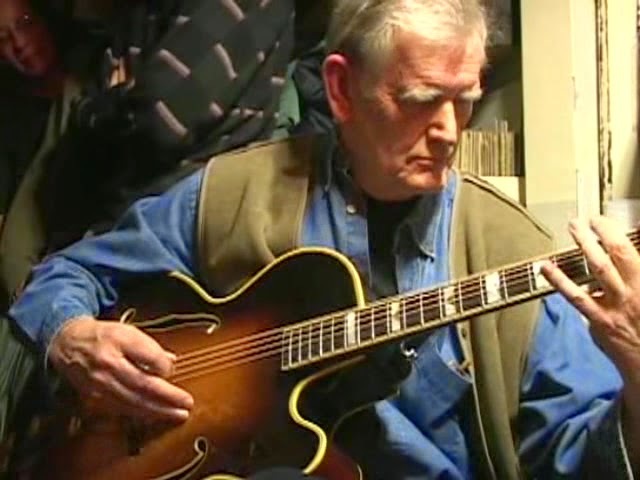 Having made countless recordings over the better part of the last half-decade with a veritable who's-who of creative music and genre-less genres of which he occupied a very large space of his own making, Derek Bailey passed away at the age of seventy-five on Christmas day, 2005. 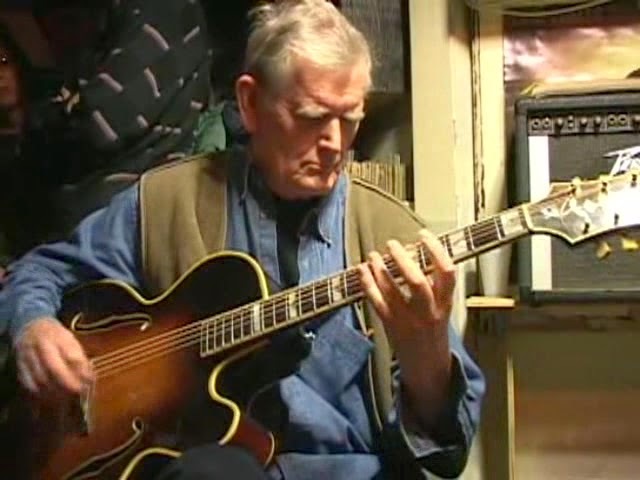 Quite aside from the thoughts and sounds he left, Derek Bailey left behind the idea that the imaginative world of the creative person is far from exhausted, and individuality need not suffer imitation in order to exist. Having the wherewithal to believe and act accordingly is a life-lesson both the aspiring and the accomplished reinforce with positive examples. 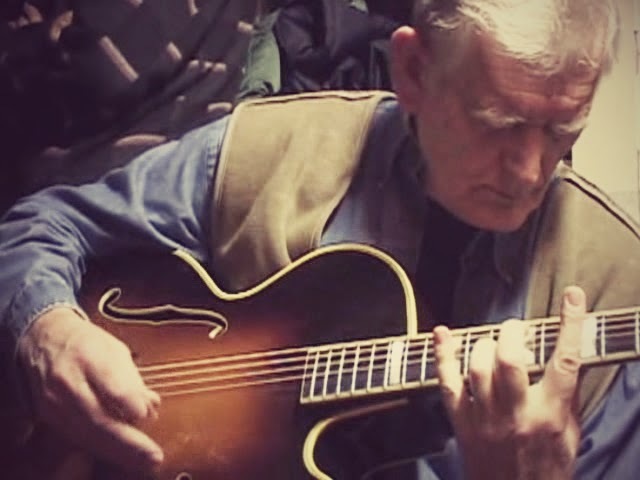 Derek Bailey, an unassuming radical and singular guitarist, led a creative-life firmly rooted in the austere and single-minded pursuit of being Derek Bailey. As a musician, guitarist and improviser I am humbled every time I hear Derek's playing. Talk about keeping one on one's toes.......I don't think its possible to study the guitar without considering Derek's approach. When Derek Bailey died in the winter of 2005, I was working in New York City in a glass mosaic studio assembling mosaics by hand. I used to listen to the Columbia University radio station WKCR on a small portable radio. 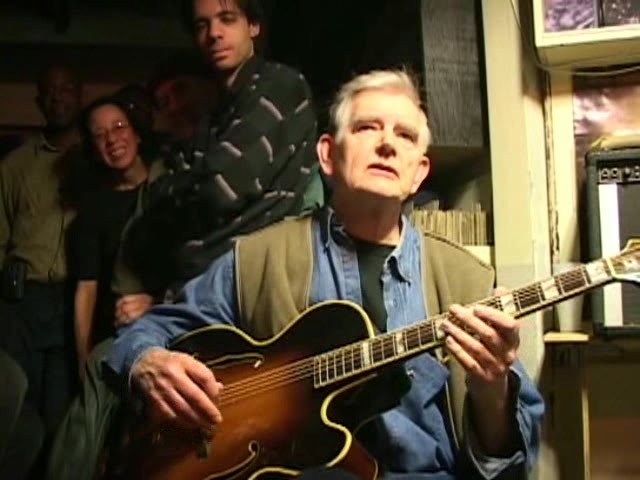 I was listening every day as the station played a continuous week of Derek Bailey music in celebration of his life. 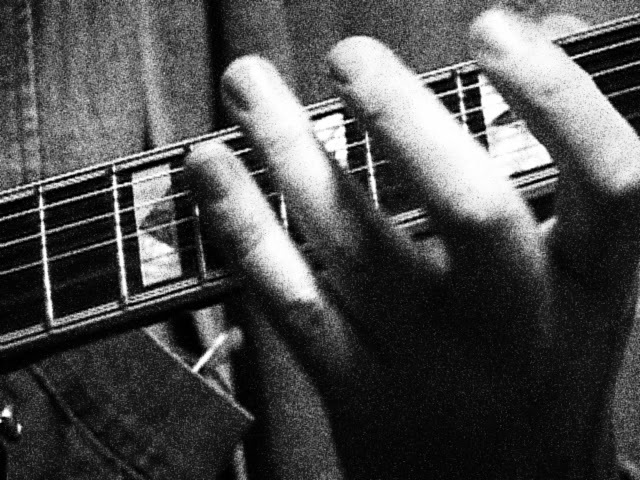 This was my first introduction to his music, and while I was familiar with improvisation, I had never heard the guitar played in such a serious, committed, vulnerable, seeking way. This might have been the first and only time I have experienced recorded music as an actual communication between people. That week at the end of the year 2005 was almost supernatural. I didn't know Derek Bailey. I didn't even really listen to him until after he was gone. I just knew him as a credit on a few John Zorn records. Then I came across his "Carpal Tunnel" record. At the time, I was going through a playing related injury myself, and here was someone who not only decided to work around their injury but to turn the progress of his practice into an artistic statement. His music and his writings changed the way I play, changed the way I think about music and life. I didn't know Derek Bailey, but oh, how I wish I did, and I hope he would have appreciated this holiday mashup in his honour. Derek Bailey is my favorite guitar player. His work, his records, his Improvisation book changed my life. 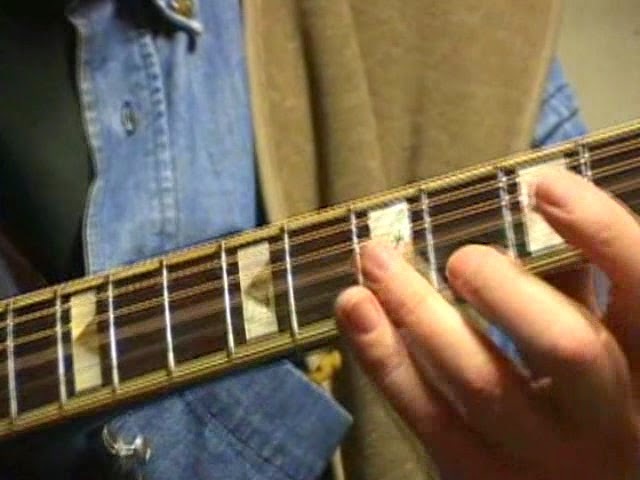 In every unconventional guitarist, at least once, you can see fragments of Derek Bailey. Can you say the same about anyone else? I have rarely done a full show dedicated to one artist - I think the only other two were for Butch Morris and Prince - but somehow in January I was of the mind to do a whole show of Bailey. It was only after I'd started planning it that I realized my Friday afternoon show landed on his birthday and that it was 10 years since he died. The whole show can be heard here: http://www.wfmu.org/playlists/shows/59209. I also wrote a memoriam for him at All About Jazz in 7th February 2006. That can be found here.